I would like to bring your attention to a recent book published by my friend and former Israeli diplomat Naava Mashiah. 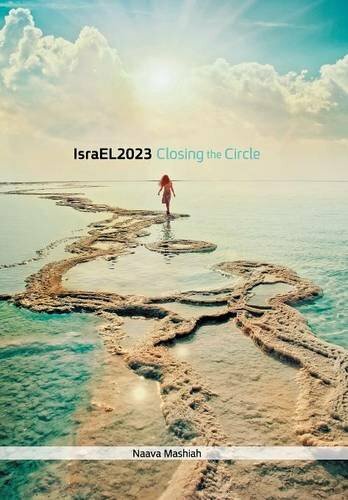 IsraEl 2023 is a near-future tour of Israel in the year 2023. The main character arrives to Israel for her niece’s wedding in Jerusalem, which she has not visited in over a decade. She shares anecdotes and impressions of the country as she travels the land. She encounters characters whom explain to her the various changes which the country underwent, including demographic, more religious population majority, economic changes and upheavals, geopolitical changes of the neighborhood, and different bilateral relations with allies. We travel with the character as she traverses across the land of Israel as she visits places of her birth and nostalgic locales from the past: Hadera, Caeserea, Karmiel, Haifa, Jaffa, Herzliya, Dead Sea. I have known Naava Mashiah for the last 10 years. She is an astute observer of Israeli and regional politics. I will be placing this book on my reading list. ← شعار بعدی دلواپسان: مرگ بر Google translate?